Just regular folks. : Poker, Cheetos, spoon rings. Saturday night in Rockville! Holiday parties galore. 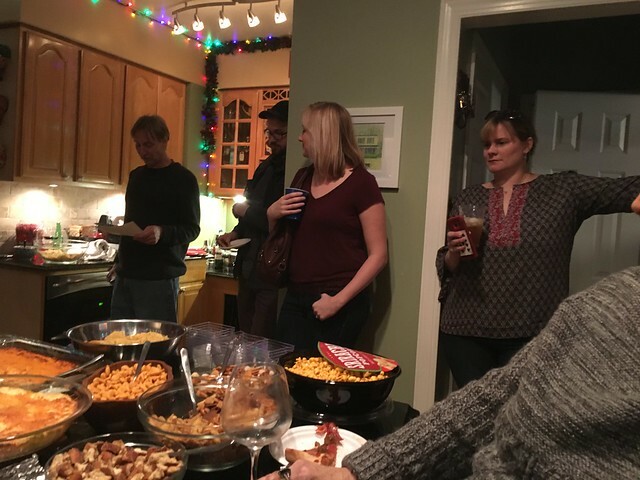 I went to these parties on my own which takes a bit of psyching up for me, but I'm glad I did because I had a good time. First up, poker night - Texas Hold 'em. $20 buy-in. 35 people. Prompt start at 7:30 pm. Random table assignments brought me to sit at the dealer position at my table. I asked if I start the deal with 5 cards? Or maybe 7 cards? Turns out you start with a deal of 2 cards. Slightly embarrassing, maybe I should have read up on poker beforehand just a tiny bit. I learned all these words: burn a card, big blind, little blind, check, button. I already know "fold" from that Kenny Rogers song. I did have a really nice evening learning about poker for about an hour before I lost all my money and I ate a lot of Cheetos and melted cheese dip which always makes a good dinner, but something about risking money and bluffing (aka lying) and chance makes it all the things I get nervous and anxious about even though I know I'm suppose to do it for fun and have already agreed with myself that I'm willing to lose the $20. 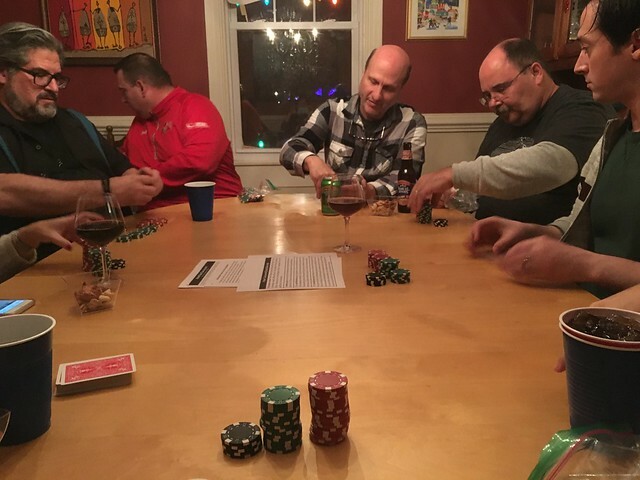 I actually needed to lose the money quickly, so I could go to the 2nd party and be home by 10 pm because I like to party not-hard (the poker game, I found out today, lasted until 2 am). 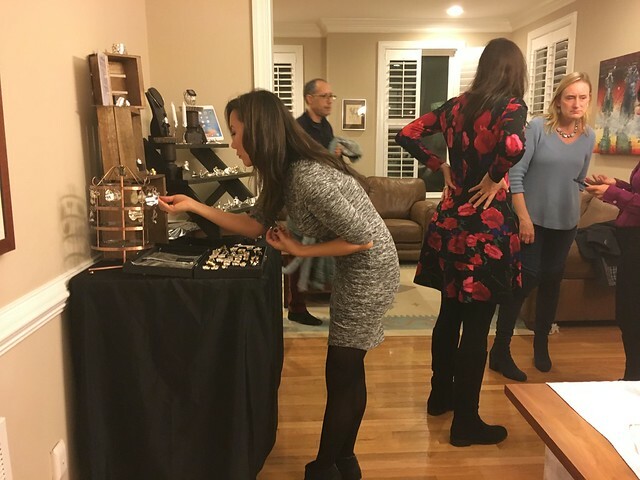 I went to a more traditional holiday party where the host's brother was selling jewelry made out of tableware. I bought a ring made from a small spoon. And I had a nice chat about old fashioned DC law firms which are slowly disappearing. I didn't make it home by 10, I was about 30 min late on my own personal curfew. How is it possible that you one of the smartest people I know, an MIT grad lost at poker! Oh well, as Scott says, "someone's gotta lose". At least you tried.